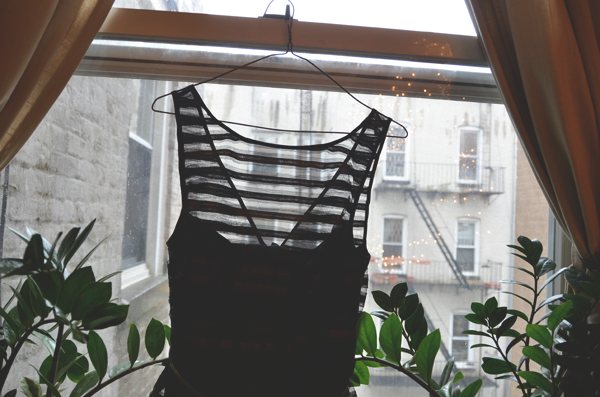 Thought I'd share a sneak peek into what I will be wearing this New Years Eve with you all. The dress was actually a Christmas present from my parents. My mom and I were in a store called Fox's, which is a lot like Loehmann's, when I came across this Jill Stuart dress. It screamed my name...plus it was the only one in my size left. What I love most about this dress besides the sheer metallic mesh top is that it has pockets! Of course, the main reason I bought the Shoemint shoes was for NYE. 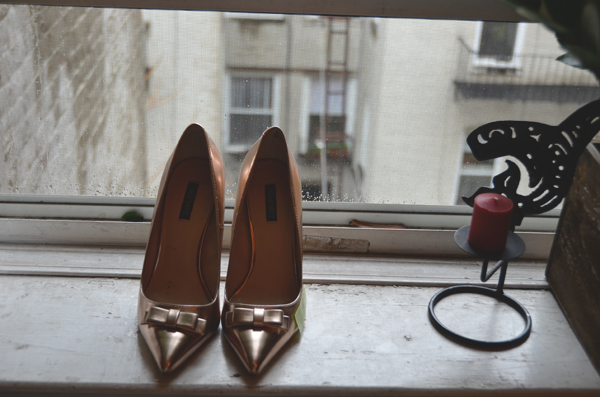 Perfect little metallic heels, even though I doubt I will be wearing all night since we will be at a friend's apartment having our Holiday dinner and a NYE party. Which is a lot tamer then years past but I'm looking forward to a more relaxed inmate affair. I hope you all have a HAPPY and SAFE NEW YEARS EVE! What do you have planned for New Years Eve? Such beautiful LBD! 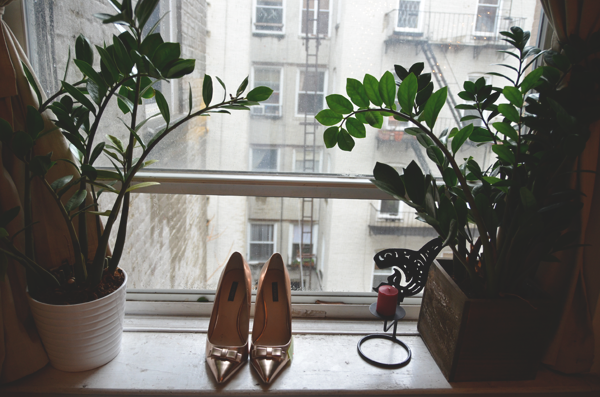 Looks great when pairing up with metallic heels! This looks cute! I love the shoes! Great blog, by the way. I would love if we followed each other. If you follow me (via Google Friend Connect), then comment on any of my posts to let me know you’re following, I'll be sure to follow you back! Happy New Year, love! Take care. Nice! You find the cutest shoes at Shoemint. I lucked out and bought a cute pair of booties from there recently. Happy New Year! I love those shoes and dress! Fab! The dress is beautiful! I hope you'll be posting some photos of you wearing it, I can imagine it looks amazing on you! Love the LBD! And cute shoes to add a girly touch. 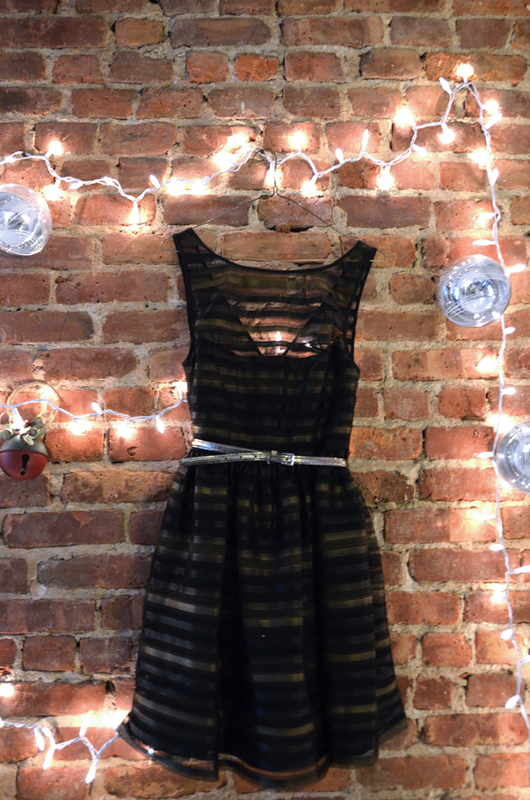 Love the dress and how you put it up against the brick wall! Hope you had an amazing New Year's and all the best in 2013! Hope you had a lovely NYE!